Tapalwadi - A small village situated near Neral, in Karjat Taluka, is famous for its waterfalls. The falls here are not so high but the volume of water flowing is immense. The area is surrounded by lush greenery which makes it an ideal destination away from the noise and hassles of daily life. 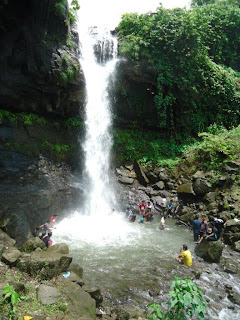 The best time to visit Tapalwadi is of course during the monsoon months (June-September). Tapalwadi is located 65 kilometers towards east from district headquarters Alibaug, 60 Kilometers from state capital Mumbai. Neral Railway Station and Karjat Railway Station are the very nearby railway stations to Tapalwadi.